After two very successful years in Paignton, I’m delighted to announce that we are returning there to the same venue for 2019. The Redcliffe Hotel remains extremely popular with our guests, situated as it is on the beach, and continues to receive wonderful reviews, providing an excellent location for TIME OUT. As ever, the event will provide an ideal opportunity for an autumn break, and for 2019 we are delighted to be able to welcome Rev William Black (right), former Church of Scotland Minister and OMF Bible teacher in South Korea. William is a well-loved and respected speaker. We will also be joined by two special guests Garry Brotherston and David Coffey, and the week will of course include other Time Out activities. The Redcliffe Hotel opens its doors to us from 14th to 18th October. There will be a limited number of sea view rooms* at a supplement, and these will be allocated strictly on a first come, first served basis. Although we are always refreshing the event, what will not change is the warm welcome extended to you, your family and friends - do encourage them to join us if they haven’t experienced a TIME OUT week before. 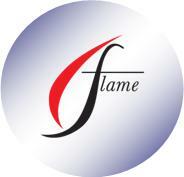 It will include planned activities and meetings, and will feature the current ministries of Flame Trust. There will also be plenty of time to relax, or to explore the coastal areas, and enjoy the amenities of Paignton. As usual, if you take advantage of the Early Bird Discount there is a saving of £15 - simply book by 1 May 2019! Look forward to seeing you in Paignton ... God bless. * Sea view is only available with double/twin rooms. Limited availability.